Introduced in October 2011, the iPhone 4S represented a significant under-the-hood hardware upgrade from the original iPhone 4. Apple claimed a 2x CPU and 9x GPU performance improvement as a result of the inclusion of the custom-designed A5 system-on-a-chip (which first appeared in the iPad 2). 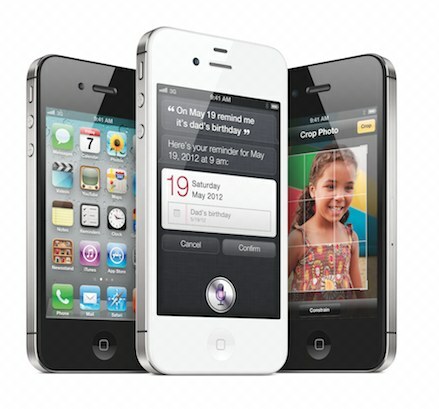 The iPhone 4s included both the CDMA-compatability of the iPhone 4 (CDMA), making it a true "world phone." It also included the minor case redesign, which, along with internal antenna design improvements, eliminated the "grip-of-death" commonly reported with the original iPhone. In September 2012, with the introduction of the iPhone 5, the subsidized price for the 16 GB models was dropped to $99, and all other models were discontinued. In September 2013, the 16 GB models were replaced with a single black 8GB "4s" model (with a change in capitalzation to match the branding of the iPhone 5s), which was made available for free with a 2-year contract. It was discontinued in September 2014, when the iPhone 5c became Apple's free-tier phone.